Posted December 3, 2015 & filed under Applications Guides. 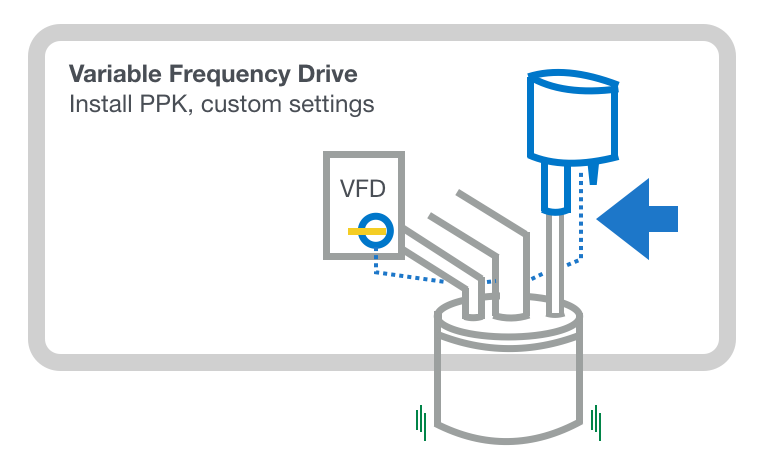 Sometimes the presence of a Variable Frequency Drive (VFD) can create noise conditions in the wall that interfere with Wellntel’s signal. In some rare cases, a VFD can create a pattern of mixed results. First, make sure to install the PPK included in your +Pump Wellntel Kit. Second, a Wellntel technician may recommend higher or lower signal sensitivity, special signal frequencies or other techniques to filter for accurate readings.